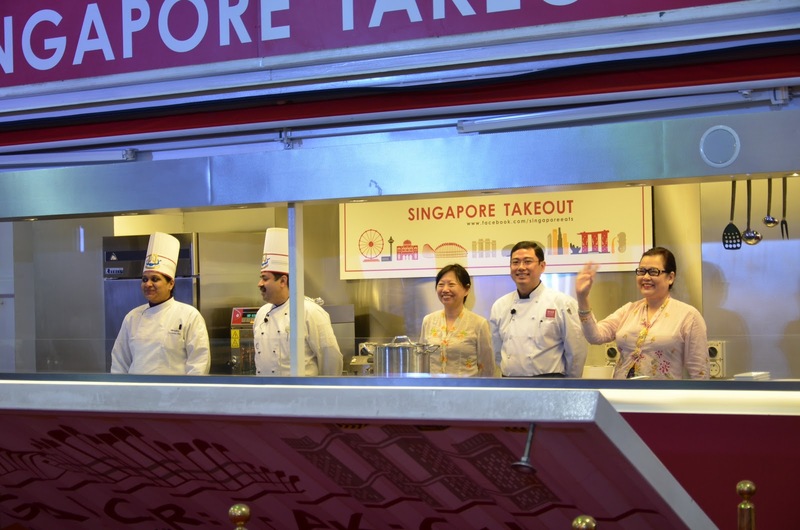 Singapore Takeout is a unique initiative by SPICE (Singapore International Culinary Exchange) with Singapore Tourism wherein a “Pop-Up Kitchen” has been fabricated inside a container and is being taken to 9 cities around the world. 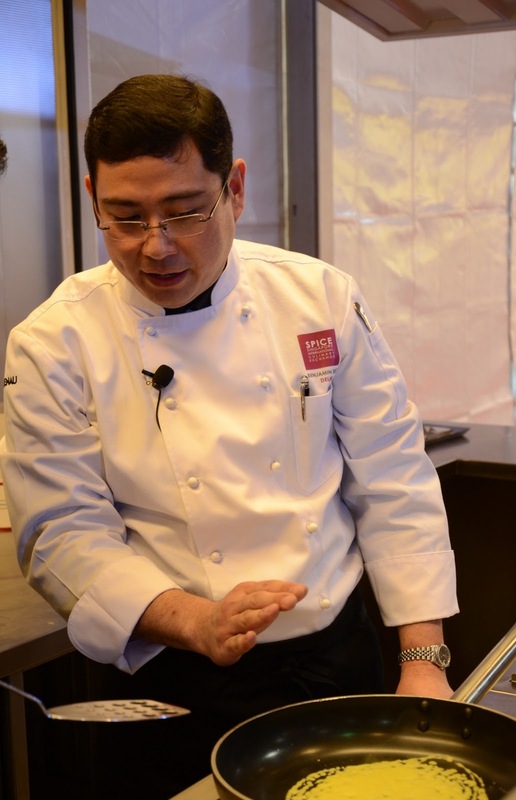 Accompanying this one of a kind kitchen are Singaporean chefs who along with local chefs are presenting some of the best culinary tastes originating from Singapore. 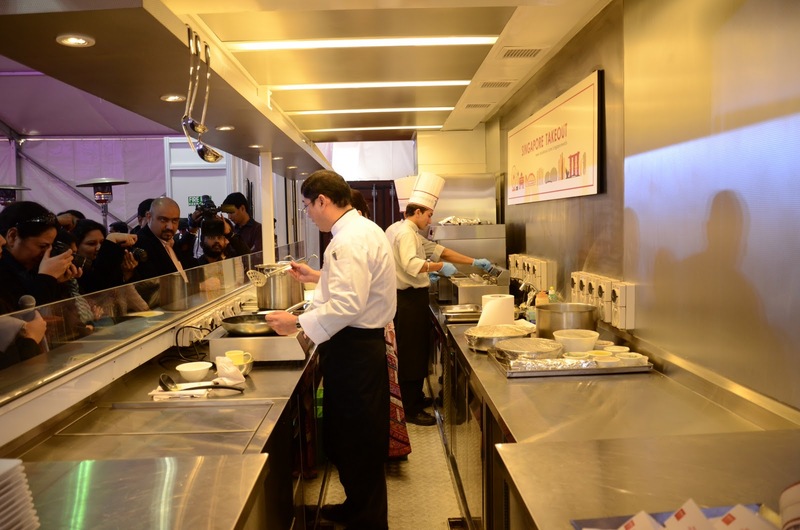 The Delhi leg of the event landed the kitchen at ITC Maurya. 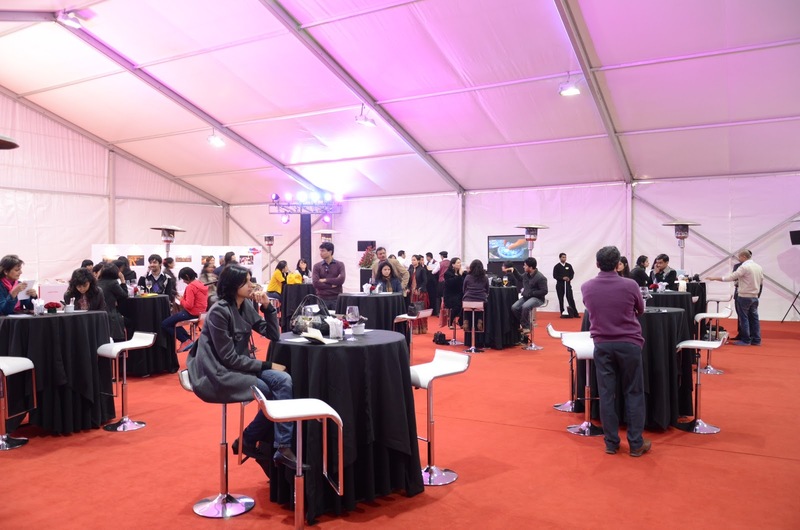 The venue of the event, ITC Maurya, has long been a favorite haunt of mine. 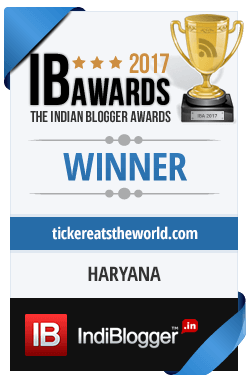 The very mention of Bukhara, one of world’s premiere restaurants, is enough to bring a smile on my face. So, when they sent me an invite, there was no way I was going to miss out on a great opportunity. Housed in a marquee in the lush garden, the event setup was minimalistic, yet classic with a limited number of invited guests making it quite an impressionable event and simultaneously giving enough time to each person for a one-to-one conversation with the chefs who mingled casually talking about their preparations. Wine and drinks flew freely with information about the chefs, the recipes, and the menu available on each table on well printed cards. A somewhat calm and laid-back atmosphere highlighted with the always smiling hosts (from Singapore Tourism and ITC) giving personal attention (both known for their immaculate hospitality) made the afternoon relaxing and enjoyable. 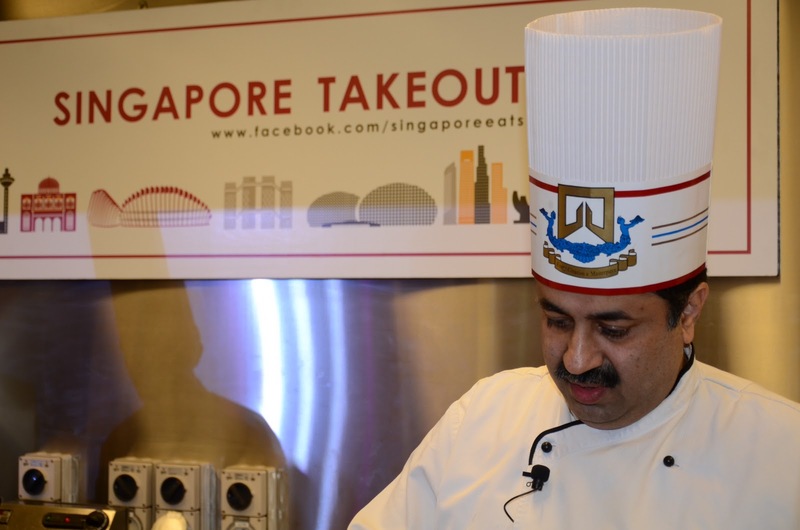 Visiting India with the Singapore Takeout was Chef Benjamin Seck from True Blue Cuisine. 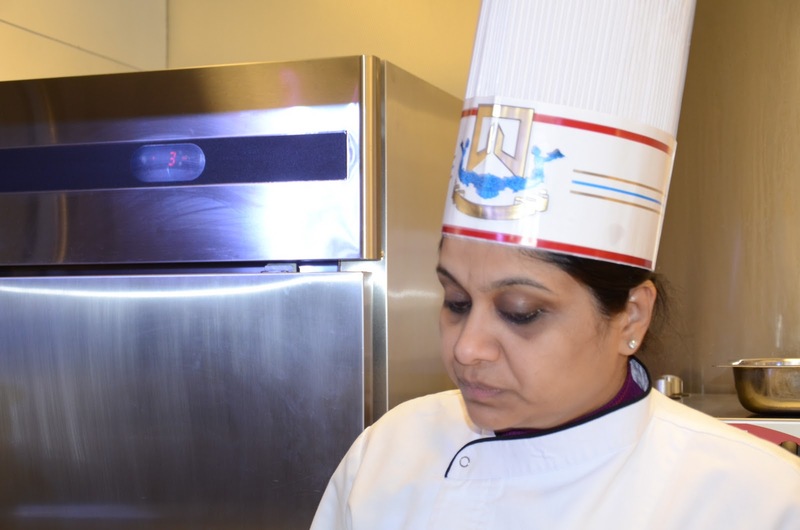 Chef Rajkamal Chopra and Chef Manisha Bhasin from ITC Hotels were the Indian chefs who had taken ingredients from Singapore and seamlessly integrated them with some of the most famous dishes of India. 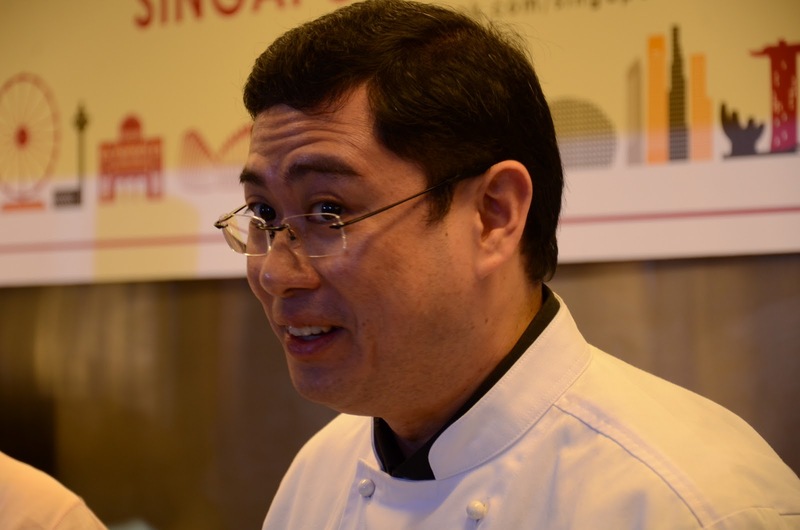 SPICE has been responsible over the last couple of years for an exchange of chefs between Singapore and other countries. 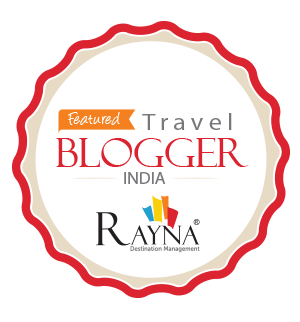 Both, Rajkamal Chopra and Manisha Bhasin had previously travelled to Singapore on a journey to interact with other chefs and discover new ingredients, techniques, and tastes. 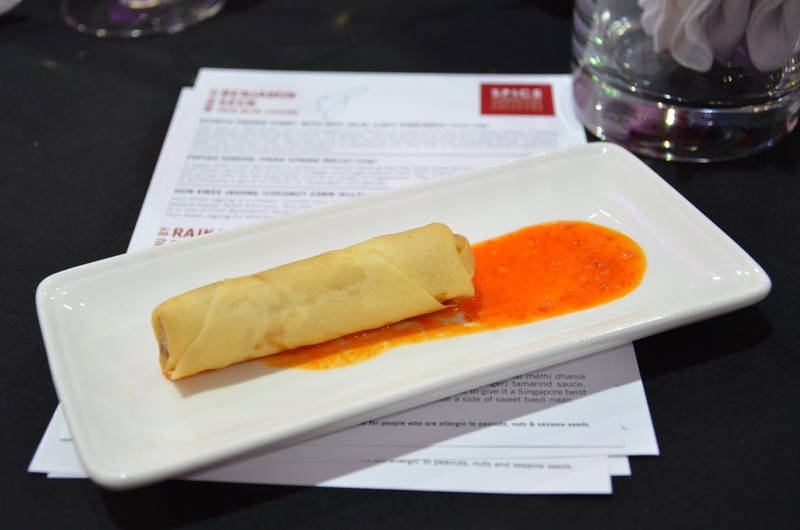 Chef Benjamin Seck presented three dishes that were an amalgamation of techniques from various parts of the world culminating into unique tasty delights. The childlike enthusiasm that Chef Bejamin Seck displayed when he spoke about his food preparations was a window into his passion for the culinary arts. Popiah Goreng (Fried Spring Rolls) was specially made with cabbage and carrot to cater to the predominantly vegetarian Indians. Fried just right and served with a chili dip, the Spring Roll was a great start to the tasting session. 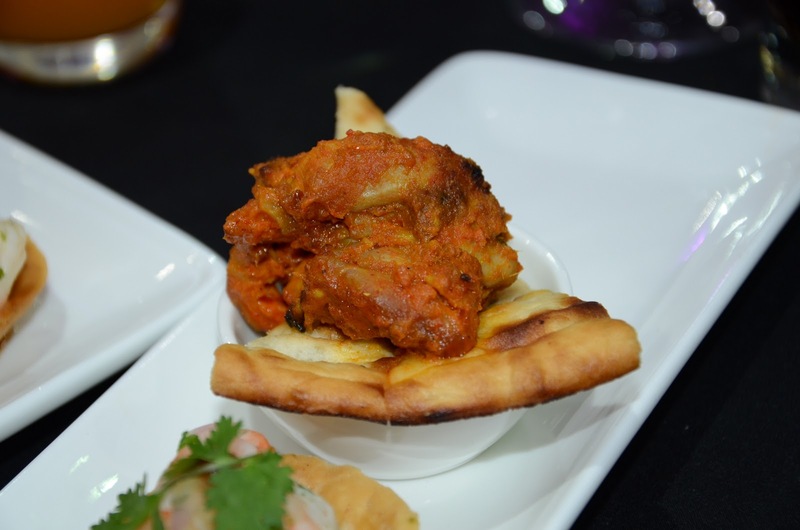 Nyonya Prawn Curry was served over the Roti Jalal which is ”net bread” that is “adopted from the Malay culture”. Chef Benjamin Seck demonstrated how to make these “lacy pancakes” and the resemblance between Roti Jalal and our very own Cheela were quite evident. 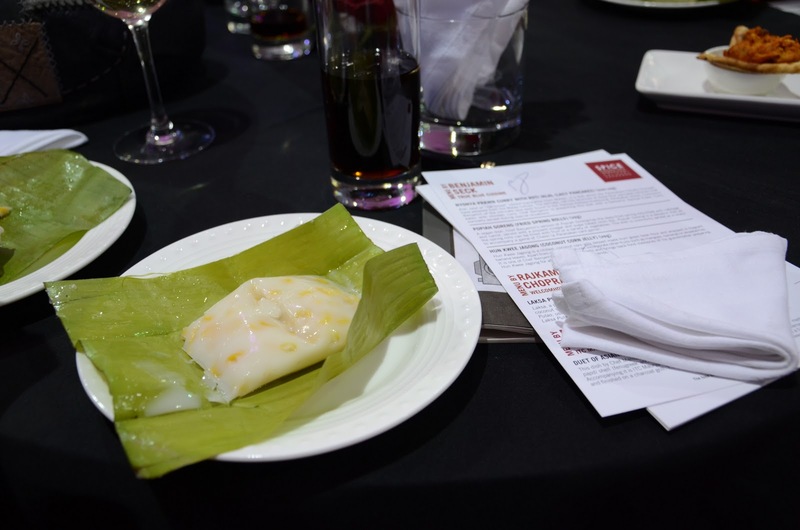 Hun Kwee Jagong was a polka dotted Coconut Corn Jelly that was truly exceptional. Served in banana leaves, I found the taste to be crunchy (corn) mixed with smooth (jelly) quite a feast for my taste buds. 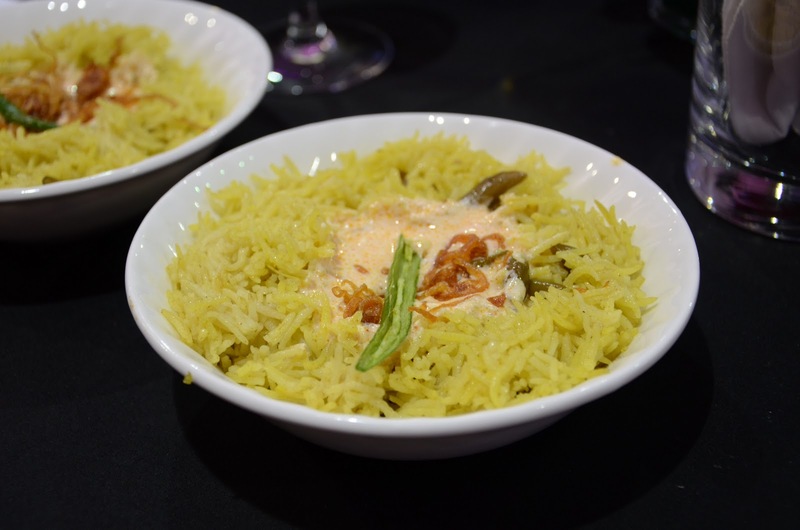 Chef Rajkamal Chopra gave a whole different taste to one of India’s most famous Rice dishes, the Pulao. Mixing it up with Laksa paste (ingredient from Singapore) and cooking it with French beans, the Pulao had a very distinct flavor. I especially loved the hot raita (I’ve always had it cold) and the fried onions on top which complimented the Laksa Pulao even further by giving it a certain zing. For those interested in trying this divine preparation, you can head over to ITC Maurya on any Wednesday for their lunch buffet, and probably find me there too. Chef Manisha Bhasin took the Chicken Tikka and marinated it in Laksa paste before char-grilling it to perfection to present a wonderful alternate to the one dish that every non-vegetarian loves. 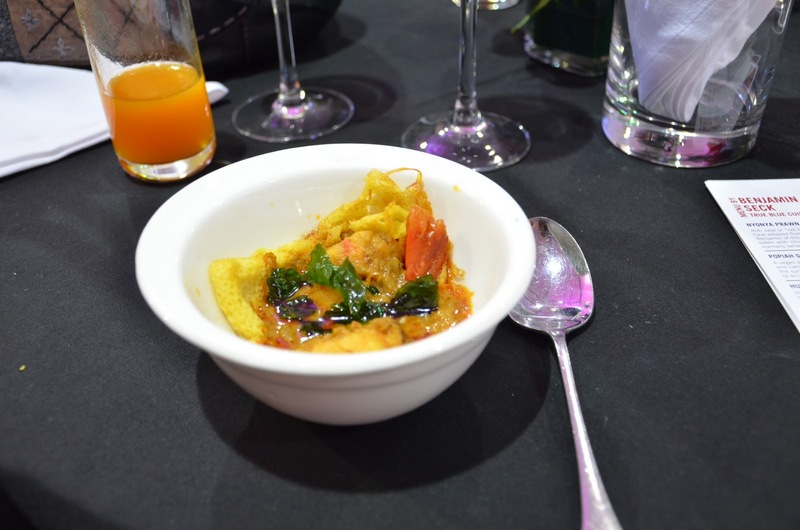 Served alongside was “Scampi and Lemongrass Ceviche in a traditional Methi Dhania papdi shell” which concluded her “Duet of Asian Inspired Antipasti”. Since my wife, is a vegetarian, I was thankful to have had two helpings of this dish. 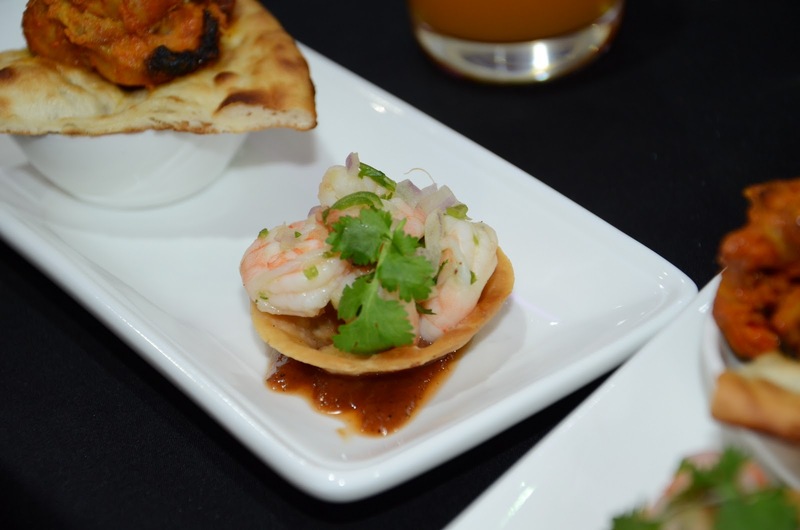 The Scampi on the papdi shell had a great texture with the softness of the Scampi mingling with the crunchiness of the papdi making it quite a hit with the guests. Just like shopping and attractions are important for any trip, so is the “fuel” for your body, FOOD! 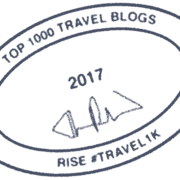 Mostly overlooked, food can be an excellent way to get an insight into the tastes, colors, and even people of a country. 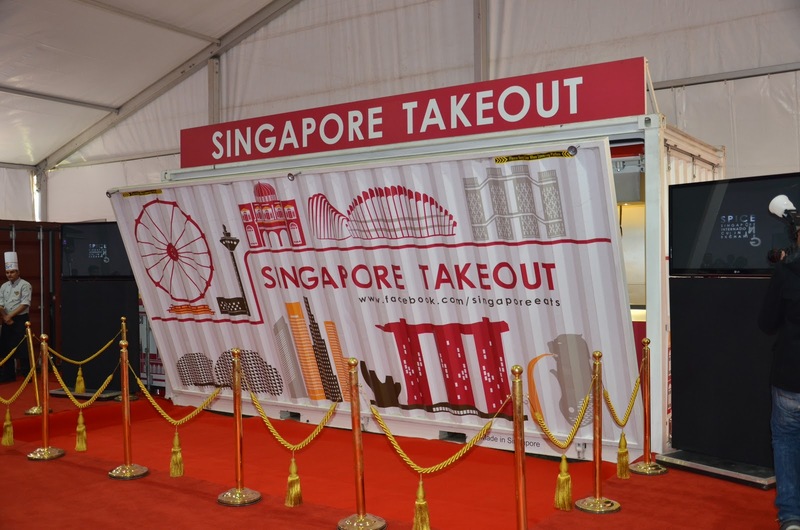 The event was also an introduction for people to take Singapore as a destination not only for retail therapy, but also for “foodies”. But, the best thing about food, and now especially Singaporean food, you don’t always have to travel to the country of its origin to experience it. These dishes look great. When I visit Singapore in a few weeks I'll add them to the list of things to eat, in addition to chilli crab, of course! Defenietly, Singapore is coming up as a “foodie” destination. Cheers!